Busted is back! The UK boyband, who toured Australia alongside McFly (as ‘McBusted’) have just dropped their new album ‘Night Driver’, so naturally, David was keen to review it. Let’s go back to the year 2002. The EU was growing, we lost the Queen Mum and some bratty guys were storming the charts with their debut single ‘What I Go To School For’. Yes, it was the year we were first graced with the presence of UK boyband Busted and their brash pop stylings. It’s been almost 12 years since the band split, but here we are with a brand new album (only their third), ‘Night Driver’. First of all, the boys of Busted may have grown up, but they still know how to create a good pop tune. Working with John Fields (Demi Lovato, Pink, Miley Cyrus), ‘Night Driver’ is a suitability classy affair. With a nod to the ’80s, many of these songs could easily fit into some of the great classic film soundtracks from the era. That being said, it’s neither dated nor tired; it feels thoroughly modern. The thing I really enjoy across the album is the instrumentation used. ‘New York’ features some awesome drumming, which really drives the song forward. Combined with the vocals and melodies, it makes for a great listen. That awesome drumming continues across songs like ‘Thinking Of You’ and ‘Out Of Our Minds’, during which it’s hard not to groove along to the beat. Album closer ‘Those Days Are Gone’ is a personal favourite, simply because of the vocals combined with how catchy it is. It kind of encompasses everything the boys from Busted should be doing to still be relevant. It feels like this music is genuine to them. It’s great to have the boys of Busted back with us and they’ve delivered a great album so long after their last. 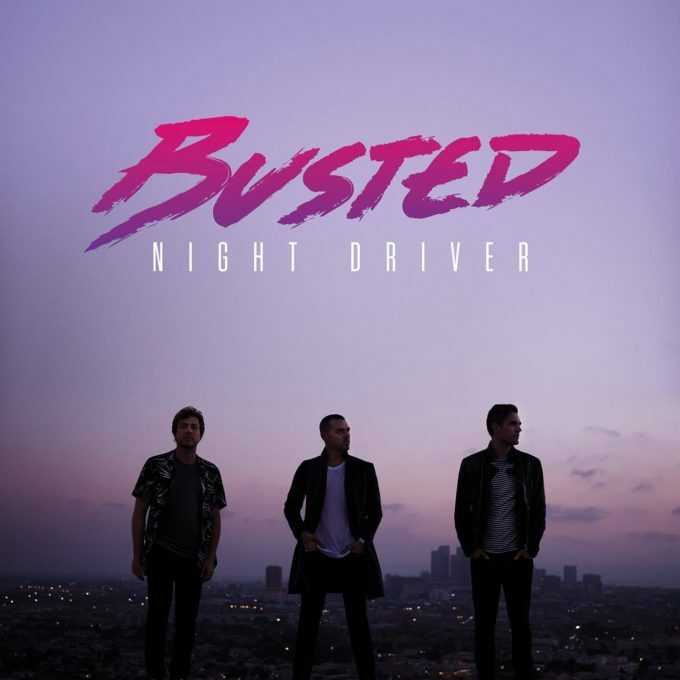 ‘Night Driver’ is grown up and feels like exactly what Busted should be doing in 2016. MUST LISTEN : Night Driver, New York, Thinking Of You, Those Days Are Gone.